As a youngster back in 1993 Daddy Rings started his career by recording his first singles for King Jammy’s in Kingston’s notorious garrison Waterhouse in Jamaica. His first hit song “Herb Fi Bun”, a duet with legendary reggae singer Cocoa Tea, brought Daddy Rings to international notice and his debut album “Stand Out” was released in 1997. After his breakthrough he toured the world and was warmly welcomed in Germany where he did a lot of creative work for and with German reggae superstar Gentleman. Ten years after his debut Daddy Rings dropped his second album “The Most High”. Almost another decade later we can now see the release of his third studio album “In The Streets”. The 14-track album exposes the skills of a powerfully eloquent songwriter with an exceptional vocal style – a fine blend of singing and original Jamaican deejaying. 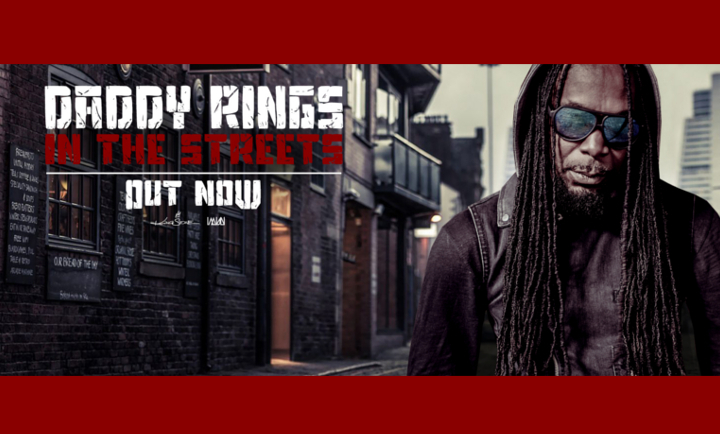 The title track “In The Streets” is an exclusive collaboration with Daddy Rings’ musical brother Gentleman. The lyrics precisely reveal the current status of the worldwide crisis and its wars and terror. The video of “In The Streets” has more than 170,000 views on Youtube already. “Don’t Say A Word” is an uplifting song that instantly wipes away negative thoughts and all kind of bad minded energy. “Active” is a political song with focus on our political and economic leaders who clearly have doubtful ethical principles. Another remarkable song is the dancehall anthem “Jah People” with a catchy hook and a message that brings nothing else but joy. With “Untouchable” Daddy Rings serves a dancehall banger based on the everlasting “Duck” riddim instrumental from the brilliant production duo Steely and Clevie – a tailor-made sure shot and dance floor filler for all DJs and Soundsystems.